Technology plays a vital role in our everyday lives. The laptop you use to draft reports, the phone you read emails on while on the train, the bluetooth signal that powers your headphones, even the heater that generates the hot water for your shower and the microwave in which you reheat your food. All these things have been made possible due to advancements in technology. Perhaps the most significant technological innovation in the past 25 years is WiFi . It facilitates connections on our most used devices: from our phones and laptops to TVs and even kettles. But have you ever paused to ask how WiFi works? Have you ever wondered how your email is sent and delivered, or how you can video call your friends from across the globe, in real time, each of you connected by WiFi? Amazing as it sounds, WiFi works on a technology we’re all familiar with. What is WiFi & How Does it Work? So how exactly does WiFi work? Before we delve deeper, let’s cover the technical part first. WiFi is short for Wireless Fidelity. Like other devices, to uses radio frequencies to send signals between devices. But these radio frequencies are different from car radios and cell phones. For example, a car stereo receives frequencies in the Kilohertz and Megahertz range (AM and FM stations), and WiFi transmits and receives data in the Gigahertz range. To understand Hertz: 1 Hertz is equal to one cycle per second. For example: if the time between each crest of an ocean wave is 1 second, that means the wave frequency is 1 Hz, or 1 cycle per second. Imagine radio waves that move at millions or billions of cycle per second – this is what your WiFi is doing. To be able to receive the data being transmitted at such a high frequency rate, your WiFi router needs to be set to a particular frequency. So in short: WiFi uses radio frequencies at a very high rate. What Are Electromagnetic Fields (EMF)? Just like we’re working towards a paperless society, we’re also continuously working towards total wireless technology. This sounds amazing, but there are concerns. What most people don’t realize is that wireless devices constantly produce electromagnetic fields (EMF). Wireless routers give off electromagnetic radiation in the low-gigahertz frequency. So the more WiFi devices we have around us, the more exposure to EMF we endure. Increasingly, scientists and researchers are uncovering the health risks of EMFs. 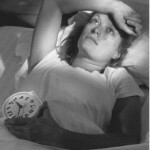 Depending on the level and the length of exposure, those risks can range from insomnia and headaches to tumors. 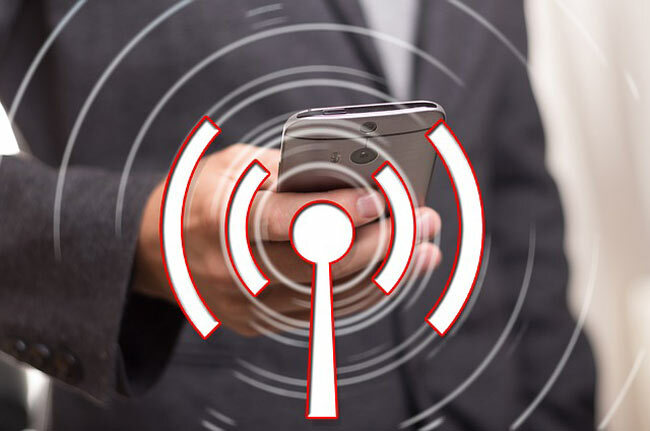 Devices that use WiFi for an internet connection operate in the 2 to 5 GHz range. This range emits microwave radiation of the same frequency emitted by your microwave, but it’s so low power that there isn't the same heating effect; so it is thought that it cannot alter DNA. According to the World Health Organization, exposure to electromagnetic fields within the recommended limits don’t produce adverse health effects. However, that doesn’t mean it doesn’t have any effect on our general health. The International Agency for Research on Cancer (IARC) classified wireless radiation as a Group 2B, a possible human carcinogen (due to limited evidence). That said, the category also includes coffee, carpentry and pickled vegetables. Even though WiFi radiation isn’t as strong as that of microwaves, the fact that we use it in our homes, at school and work, in hospitals, restaurants, cafes and subway stations, means we’re constantly exposed to the radiation. It is therefore reasonable to assume that heavy WiFi users may experience some effects in the long run, which we'll explore next. Where sleep is concerned, it is possible that sleeping next to a router or near electronic devices connected to WiFi can affect your sleep. One study showed that exposure to a 2 hz pulse-modulated radio frequency and a 2-Hz pulsed magnetic field altered brain physiology. 25 young healthy men were exposed at weekly intervals to three different conditions for 30 min before sleep. Cognitive tasks were also performed during exposure. The conditions were a 2-Hz pulse-modulated radio frequency field, a 2-Hz pulsed magnetic field, and sham. Radio frequency exposure increased electroencephalogram power in the spindle frequency range. Furthermore, delta and theta activity (non-rapid eye movement sleep), and alpha and delta activity (rapid eye movement sleep) were affected following both exposure conditions. No effect on sleep architecture and no clear impact of exposure on cognition was observed. 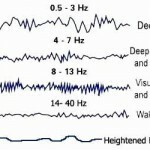 This exposure was at a very low level and still managed to affect theta and delta brainwave activity; delta being the very low frequency brainwaves active in deep sleep. So we know that these signals can alter brain activity, but how might this affect sleep quality? Well, let's start with the concept of the blue light emitted by your phone or computer screen. 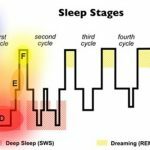 You might have experienced difficulty falling asleep after playing with your phone or computer right up until bedtime. This is because the light emitted by the screen stimulates your eyes and signals to the brain to produce less melatonin – a hormone that regulates your sleep-wake cycle – and keep you awake. In short, you are basically telling your brain to keep you awake; the same principle as sunlight exposure. A lowly lit device has the same effect, but a blue light screen filter can negate the effect to some degree. Interestingly, a similar thing happens with WiFi (EMF). As you use your mobile phone, it gives off electromagnetic frequency waves. The brain mistakes these as light signals, which causes the suppression of melatonin production. To put it simply, being in a bedroom with WiFi on, or beside your electronic devices, may trick your brain into thinking that it’s still daytime — meaning you probably won’t be in dreamland as soon as you want to be. It may also disrupt your sleep cycle and cause you to not get the restful sleep you need. For those with insomnia, this adds fuel to the fire. Aside from suppressing the release of melatonin, exposure to WiFi radiation may also interfere with the regenerative processes our body undergoes when we sleep. A science experiment, conducted by a group of ninth-grade students in Denmark, tested the effects of WiFi radiation on plants (cress seeds). Originally, the students wanted to assess its effects on humans but their school didn't have the equipment to conduct such an experiment. In the end, the result of the experiment was very clear: the cress seeds placed next to WiFi routers didn’t grow and eventually died — the exact opposite of the seeds placed in a room without radiation. This experiment doesn't necessarily show that WiFi negatively affects sleep, but it does indicate degenerative effects in plants. Of course, this is one single study conducted at one school, but it is certainly worthy of further research. One might ask what would happen to adult plants if exposed to the same level of WiFi. If nothing were to happen, this might indicate that WiFi may only be a problem for seedlings and younger plants that still have growing to do, which could also have implications for infant humans. Some countries are now issuing warnings to schools and communities about the dangers of exposure to WiFi radiation. For instance, in Simcoe County schools, in Ontario, Canada, students exposed to WiFi in classrooms have reported numerous health issues. The effects reported cover dizziness, nausea, insomnia, attention deficit, hyperactivity, anxiety and more. The Microwave intensity inside one Simcoe kindergarten classroom was measured at 4X Stronger than when standing near a cell phone tower, although there were no computers in that classroom. 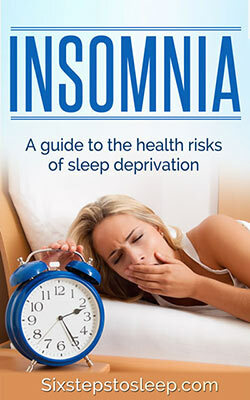 The insomnia reported is particularly disturbing, since children are growing and learning and need a lot of sleep. Of course there could be other factors at play here, such as poor diet, lack of exercise and screen exposure, but the symptoms coincided with the introduction of WiFi at school. When we consider that children are exposed to WiFi at home and that many children carry a phone around with them as well, it may be that the additional WiFi exposure at school just isn't giving them enough of a break for the brain to recover. In other words they are experiencing overexposure. In France, cell phones are banned in schools, colleges and even on playgrounds, and a National Decree was been passed in 2016 to protect workers against the risks of EMF. Similarly, Belgium has banned WiFi in preschools and nurseries. Numerous other countries are taking steps to reduce exposure. The number and duration of cellphone and cordless phone calls were associated with increased risk of headaches (>6 cellphone calls over 10 minutes weekly, adjusted OR 2.4, CI 1.2-4.8; >15 minutes cordless use daily adjusted OR 1.74, CI 1.1-2.9)). Texting and extended use of wireless phones was related to having a painful ‘texting' thumb). Using a wired cellphone headset was associated with tinnitus (adjusted OR 1.8, CI 1.0-3.3), while wireless headsets were associated with headache (adjusted OR 2.2, CI 1.1-4.5), feeling down/depressed (adjusted OR 2.0, CI 1.1-3.8), and waking in the night (adjusted OR 2.4, CI 1.2-4.8). Although there are various studies showing the effects of EMF on sleep, it is also worth considering the concept of individual difference. Some poeple are extra sensitive to electromagnetic radiation; a condition called electrohypersensitivity. Consider that some people drink coffee before bedtime and still go to sleep without a problem, while others suffer from insomnia if they consume caffeine in the afternoon or early evening. It is most likely the case that there are people whose sleep is more sensitive to WiFi than others. I would make the personal assumption that those people would be the same people who have existing difficulty sleeping, a history of poor sleep, or who are light sleepers and easily disturbed by external factors. Case in point: I stopped using my cell phone and watching TV/movies on my tablet in bed because I noticed a negative pattern emerge. I would take longer to fall asleep on nights that I did this. On some occasions, I would turn off the device and start to fall asleep, but then suddenly become very alert and awake. That said, any form of brain stimulation around bedtime is not conducive to a good nights sleep, and we don't need to be exposed to WiFi while we sleep. The evidence is not conclusive. We don't know the exact long-term health effects of overexposure, or indeed what our limits truly are, and we don't know if certain people are more susceptible to these effects than others. But what we do know is that EMF activity can affect brain activity, which can affect melatonin production and affect our sleep. So you should take steps, particularly if you are a bad sleeper, to reduce your exposure to WiFi prior to going to sleep, inside the bedroom and while you sleep. It just makes for Good Sleep Hygiene. Put mobile phones and tablets on airplane mode at bedtime / turn off WiFi on these devices. Turn off WiFi printers when not in use. Remove metal items near your bed, or replace beds and mattresses containing metal as these can contribute to creating electrical fields. Turn off your WiFi router when in bed; no one will use it during the night. If possible, turn off WiFi routers and devices two hours before you sleep so that your brain's melatonin production is not inhibited in any way. Avoid upgrading to WiFi gadgets such as smart TV, Wi-Fi kettle and other gadgets like the digital assistants that have recently become commonplace in many homes. Use cables for your connections and abandon Wireless where possible. Use dirty electricity filters on outlets to mitigate electromagnetic radiation. Going to sleep is a complex physiological process that can be disrupted by many factors. Many people struggle to get a good night sleep as it is, without adding additional barriers to overcome. Your bedroom should be a sleep sanctuary; a place where you can relax and heal, both physically and mentally. All mental distractions and wakeful elements should be eliminated from the sleep environment. Turn off WiFi and leave your phone and tablet out of the bedroom. Indeed, go one step further than that and reduce the amount of electrical devices inside your bedroom. While these devices may make our lives more convenient, the convenience should not come at the cost of our health. Have You Got the Insomnia Gene? 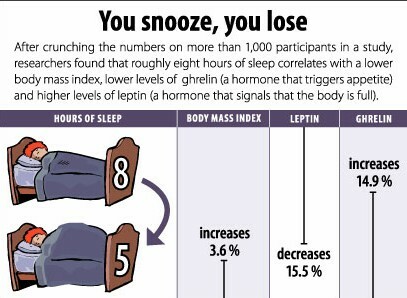 Learn How Bad Sleep Is Affecting Your Health - And How To Fix The Problem, Fast! 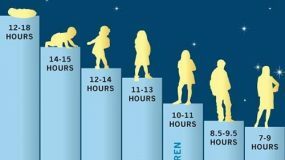 Do You Have ADHD or Sleep Deprivation? 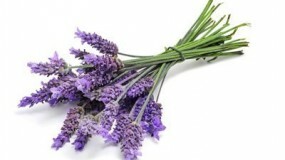 Does Lavender Really Help You Sleep Better?